Earlier today I looked up at the clock to see what time it was. 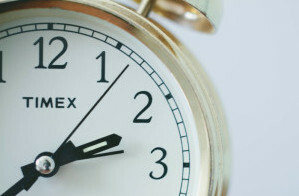 Usually when we check the time it’s because we don’t want to be late for an appointment or because we are assessing how our time management is going for the day. If we’re being honest, we’re often trying to gauge how productive we are (As in, “Am I feeling good about myself that I’m getting enough done by this marker in the day?”). My next flow of thought went to a very old (originally 1960’s) Dr. Pepper advertising slogan, “Drink a bite to eat at 10, 2 and 4.” (I know, pretty weird, but true and obviously this slogan came out long before we knew the toxic nature of consuming so much sugar.) 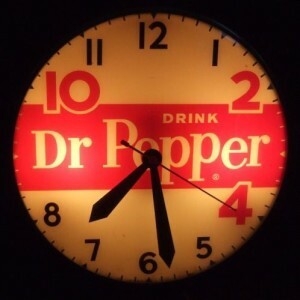 Since the numbers have to do with the time of day, many Dr. Pepper clocks were made to highlight those three hours. So then, this God-thought popped into my head. Because we have a Heavenly Father who adores His children, what if each time we looked at the clock, our first thought went something like this: It’s 10 am. I’m loved at 10 am! It’s 2 pm. I’m loved at 2 pm! It’s 4 pm. I’m loved at 4 pm! Clearly God’s love is the supernatural pick-me-up that we were born for and the only one that can offset any emotional or spiritual doldrums we might encounter along the way. The best news is that His love and affection isn’t just for 10, 2 and 4, but for 5 am, Noon, 8 pm, Midnight…you get the picture. God never turns His love off! What would happen if every single time we looked at the clock, it became a reminder of Papa’s affection for us at that precise moment? It would not only change your outlook in the moment, but it would change your day, your week, your month and your life! Your heavenly Daddy says the same to you. Take the time to be loved. It’s what you were born for! Glad you found me here, Elizabeth! This is going to be such an expansive year for you–Isaiah 54:2. Be sure to sign up for my email newsletter if you haven’t already done so. It will alert you to new blogs as they come out each week.